In this bold rereading of Freud's cultural texts, Diane Jonte-Pace uncovers an undeveloped "counterthesis," one that repeatedly interrupts or subverts his well-known Oedipal masterplot. The counterthesis is evident in three clusters of themes within Freud's work: maternity, mortality, and immortality; Judaism and anti-Semitism; and mourning and melancholia. Each of these clusters is associated with "the uncanny" and with death and loss. 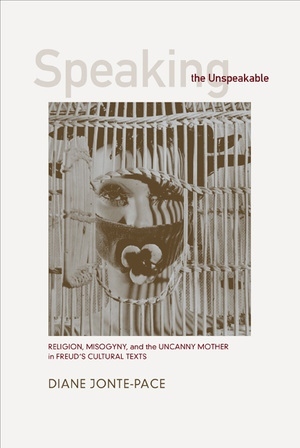 Appearing most frequently in Freud's images, metaphors, and illustrations, the counterthesis is no less present for being unspoken--it is, indeed, "unspeakable." The "uncanny mother" is a primary theme found in Freud's texts involving fantasies of immortality and mothers as instructors in death. In other texts, Jonte-Pace finds a story of Jews for whom the dangers of assimilation to a dominant Gentile culture are associated unconsciously with death and the uncanny mother. The counterthesis appears in the story of anti-Semites for whom the "uncanny impression of circumcision" gives rise not only to castration anxiety but also to matriphobia. It also surfaces in Freud's ability to mourn the social and religious losses accompanying modernity, and his inability to mourn the loss of his own mother. 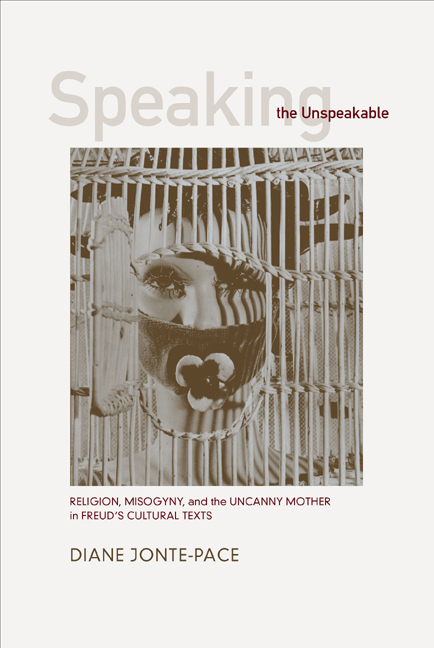 The unfolding of Freud's counterthesis points toward a theory of the cultural and unconscious sources of misogyny and anti-Semitism in "the unspeakable." Jonte-Pace's work opens exciting new vistas for the feminist analysis of Freud's intellectual legacy. Diane Jonte-Pace is Associate Professor of Religious Studies and Associate Vice Provost for Faculty Development at Santa Clara University. She is coeditor of Religion and Psychology: Mapping the Terrain (with William B. Parsons, 2001). 3. Jewishness and the (Un)Canny: "Death and Us Jews"